Application : Mainly for building constration industry, raft foundation, reinforced concrete walls, floor slabs / staircases, toping reinforcement, infrastructure and precast concrete components. 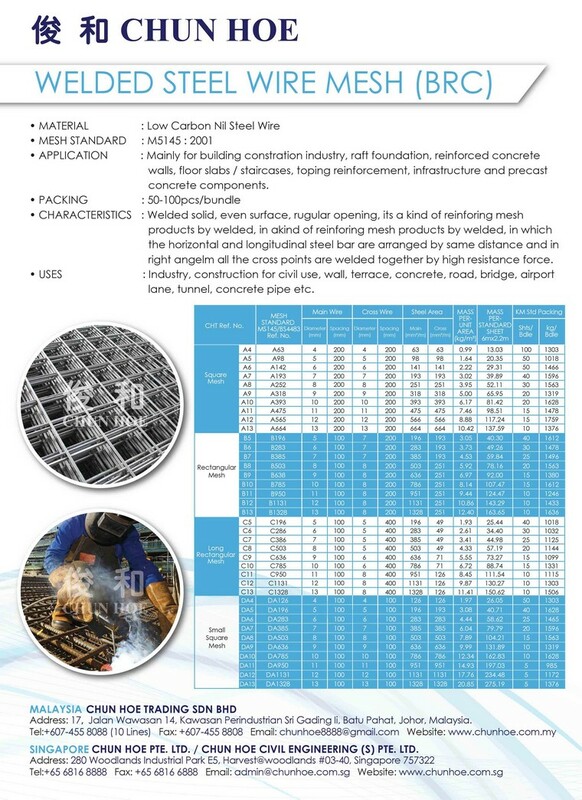 Characteristics : Welded solid, even surface, regular opening, its a kind of reinforing mesh products by welded, in a kind of reinforing mesh products by welded, in which the horizontal and longitudinal steel bar are arranged by same distance and in right angelm all the cross points are welded together by high resistance force. Uses : Industry, construction for civil use, wall, terrace, concrete, road, bridge, airport lance, tunnel, concrete pipe etc.